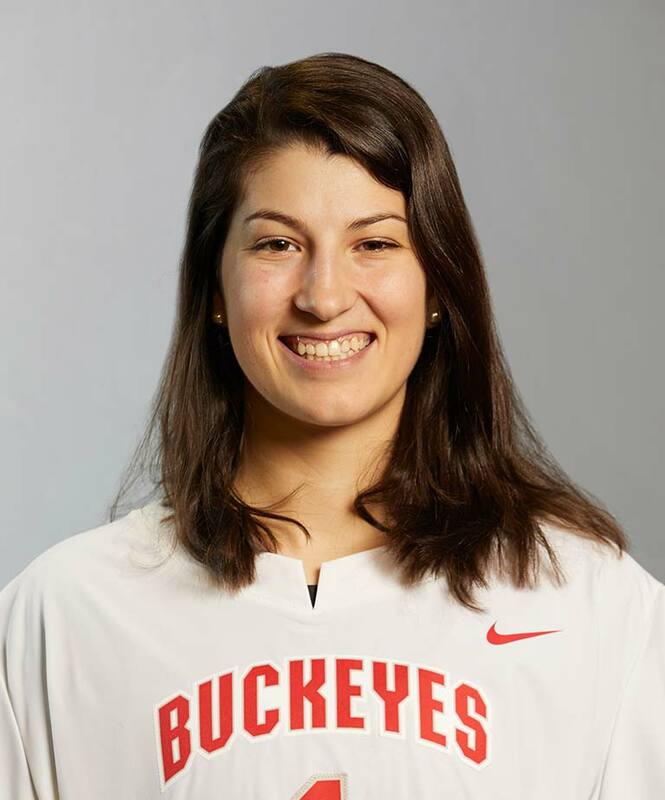 Hi, my name is Jill Rizzo, and I am a junior on The Ohio State Women's Lacrosse team. Looking back at the path I took to Ohio State, I believe I would have ended up at Ohio State regardless of my recruiting experience. The first time I met my coach was in the sixth grade when I attended a camp in Boston. At the time, I had just started learning how to play lacrosse, and my sister was leaving to join the Ohio State Women's Ice Hockey team. Once I began visiting my sister on campus and attending football games, I began to appreciate how beautiful the university and Columbus are. I quickly realized how many resources and opportunities would be available to me and then I was hooked. I knew Ohio State was where I was supposed to be. When it came to visiting other schools, many things set Ohio State apart. There is nothing like the way campus feels on a gameday, watching the band Script Ohio, playing that team up north, studying in Thompson library, or walking through the oval between classes. Also, for someone whose goal is to work for Nike, the Fisher College of Business and so many of the SASSO events and resources have helped me gain the knowledge, self-awareness, and tools to help me work towards this dream. I believe no other school could provide me with these experiences. However, my athletic journey was not always the easiest. In high school, I hit a slight bump in the road when I tore my ACL. Although it was tough to deal with at the time, it was probably the best thing that could have happened to me. By the end of my recovery, I walked away from it stronger both mentally and physically. It made me hungry and motivated to improve my skills on the field. It provided me with a greater appreciation for my sport, and how lucky I am to be able to play it, especially at the high level I do now. In just two years at Ohio State, many people have positively impacted my life. My coaches and trainers have always supported me and taught me so many life lessons that I will take with me moving forward. I am incredibly thankful for Kaitlin, the SASSO team, and the Bucks Go Pro Internship staff for providing me with guidance and the resources necessary to achieve my professional goals off the field. It is difficult to put into words how much of an impact my teammates have had on my life. They have all been so supportive, and I know they have my back no matter what. I am grateful for the life-long relationships I have formed in such a short time. As a group of student-athletes, we set ourselves apart from most universities. I think the pride we have in wearing the scarlet and grey uniform and the understanding of the winning culture set by those wearing them before us is what makes us unique. Every one of us wants to live up to the tradition of excellence Ohio State is known for and leave our respective programs better than we found them. Our level of pride for this university is apparent in how hard we train during the season and offseason, the numerous awards received, and our academic achievements. We are a part of a legacy that continues to grow and lifelong Buckeyes. Since coming to Ohio State, my life has changed in such an incredible way. I have learned so much in the classroom, but most importantly I have learned so much about myself. I have a clearer picture of my life goals and who I am as an individual, both on and off the field. I think my drive to be my best self, leadership skills, and ability to adapt to whatever is happening in my life has tremendously improved during my time here. Most importantly, I can't imagine what my life would be like if I had never met any of my teammates or friends, and I am so grateful for that.